Gary Weaver, the long-time School of International Service (SIS) professor beloved by both his students and colleagues, passed away on March 11, 2017. Professor Weaver was a vital member of the American University (AU) community for more than five decades and made innumerable contributions to SIS through his professional work and his personal example. “Gary was not only a towering figure in the field, but also an incredibly caring human being. He loved American University and SIS,” said James Goldgeier, dean of the School of International Service. After receiving his BA from SIS in 1965, Professor Weaver continued his studies at the school, earning an MA in 1967 and a PhD in 1970. Rather than take his education and experience elsewhere, Professor Weaver joined the faculty in 1968, thus dedicating himself to future generations of SIS and American University students. Throughout his years of service to SIS, Professor Weaver earned a reputation as an enthusiastic teacher, a compassionate mentor, and a dear friend. “Gary Weaver was my professor from 1977 to 1981, and a trusted mentor in the ensuing decades. This skillful, humble, dignified man opened my eyes to US race relations as a young adult and changed the trajectory of my life. He fostered his students’ self-awareness, critical reflection, and cultural sensitivities through his unique lens on the world. Gary believed in the goodness of humanity, and the world is a better place because he was in it,” said Professor Barbara Wien. “Gary Weaver loved American University with distinction and honor. His footsteps will always be remembered and his voice always heard. He was my student and my mentor, and his contributions to cross-cultural communications will continue to inspire all of us,” said Professor Emeritus Abdul Aziz Said. Professor Weaver’s pioneering work in cross-cultural communication remains one of his strongest legacies in the field of international affairs. It was with his trademark humor, humility, and sense of social justice that Professor Weaver developed, championed, and taught the subject. “In the field of intercultural relations, Gary literally wrote the textbook,” said Dean Goldgeier. American University’s curriculum also reflects Professor Weaver’s contributions through the establishment of SIS’s Intercultural and International Communication master’s program (the first such program in the US), which he co-founded, and the development of the undergraduate cross-cultural communications course, which he spearheaded and has been an integral part of AU’s General Education curriculum and a required course for SIS undergraduates. Over his years of service, Professor Weaver created and directed various academic programs at the university, including the Community Studies Program, the Fulbright Pre-Academic Program, and seminars on Managing a Multicultural Workforce. He also taught courses on multicultural management in the National Training Laboratory’s American University graduate program. However, one of his favorite projects was the establishment of the Intercultural Management Institute (IMI) in 1999, its annual conference, and associated publication, the Intercultural Management Quarterly. A unique model of academic engagement, IMI provided cutting-edge intercultural training to businesses, non-profits, and governments all over the world. Though he made American University his home for many decades, Professor Weaver’s influence was truly international. He gave more than 100 keynote addresses, lectures, training seminars, and workshops annually to various universities, nonprofit groups, government agencies, professional organizations, and business groups in the United States and abroad. He was an integral component of the training for new US diplomats at the Foreign Service Institute, and lectured frequently to the Federal Bureau of Investigation and military, working particularly closely with the Air Force Negotiation Center and the US Navy Intercultural Relations Training Seminar, which he developed and directed. The US State Department International Visitor’s Office frequently called on Professor Weaver to help international visitors make sense of the culture of the United States and their own reactions to it. Professor Weaver was a visionary leader, constantly seeking synergies so that the creative tension of intercultural interactions could create something greater than the sum of the parts. His drive and determination that the world could be made better through his helping his many students develop “realistic cultural empathy” continues to guide those fortunate enough to have encountered him. “Those of us who had the chance to take his classes or his training seminars or to work with him on research know personally what an inspiration Gary was to each of us and to our colleagues around the world. He will be sorely missed. I will miss him deeply,” said Professor Amanda Taylor, director of the MA in Intercultural and International Communication program. 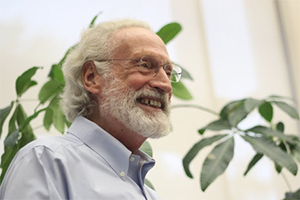 American University and Professor Weaver’s family will hold a memorial service at 11:30 a.m., Saturday, April 29 at Kay Spiritual Life Center, followed by a celebration of the life and work of Professor Weaver and reception at 1 p.m. in the SIS Atrium. All are invited to attend. The Gary R. Weaver Endowment in Professor Weaver’s memory currently is being established, and additional details about this fund will be forthcoming at the memorial service.